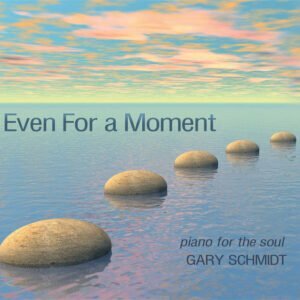 This is pianist Gary Schmidt's second original music release, but these 14 tracks had me thinking it was closer to his fourteenth. Schmidt is on his way to reaching the upper tier of piano artists on the contemporary instrumental scene (if this album is any indication). His deft control of nuance, tone, and shading is first-rate, but it's his composing talent that jumps out at me. The majority of songs are softly played, gentle in mood, subtly (or not so subtly) reflective, so this is ideal relaxing music. Guest artists Sherry Finzer (flute), Gary’s brother Roger Schmidt (guitar), and Hannah Akins (cello) make appearances and shine brightly when they do. Track 4, "A Train Leaves The City" is sublimely introspective! Some albums defy easy categorization or brief encapsulated review terminology and The Truth of Being is one of those. 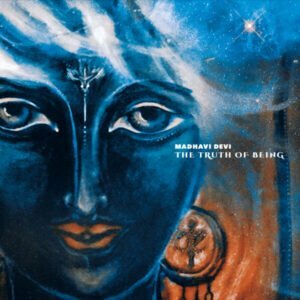 Cheryl Gallagher, who now records as Madhavi Devi, weaves a web of ambient, world (particularly Tibetan) music, and New Age into a quilt of deeply meditative soundscapes, sometimes drifting, sometimes rhythmic, but always infused with a sensation of innate spirituality and ritualism. Meshing rhythms with textures and melodic drones, using layers upon layers of keyboards, Gallagher/Devi takes the listener into the heart of her musical voyage of introspection. Outstanding technical artistry (a trademark of Spotted Peccary recordings) enhances the impact throughout. 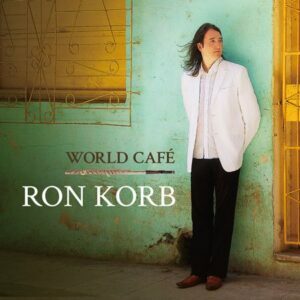 World Café is flutist Ron Korb's follow-up to the acclaimed Asia Beauty (2015). Korb invites the listener to explore the vibrant, rich, and passionate musical culture of the Latin world—Spain, South America, and Cuba. Just as with Asia Beauty, the physical product is not "just a CD," but is actually a CD-sized booklet with attractive photographs and well-written liner notes. While Korb composed all 12 tracks, the album also reflects the guest artists' stellar talents on their assorted instruments. I wish I had more column space to give you details, but take it from me, World Café is easily one of the top world beat/fusion releases of recent years. 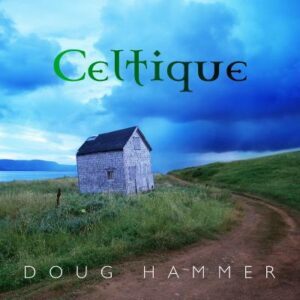 I don’t know that there is a more difficult music genre to interpret on solo piano than Celtic, but Doug Hammer sure found a way to do it. Per the liner notes, "Celtique tells the story of a fisherman: a day in his life from daybreak to twilight." As a result, the 15 tracks here play across a variety of moods, tempos, and styles, but there is enough of a Celtic/Irish influence at times that this CD earns its title easily. Some song titles indicate the track's thrust, e.g. "Celtique (Daybreak)" begins quietly, but soon spins into a spirited exploration of Irish-influenced melody, while "Ancient Stones" is a softly played ode to reflection. 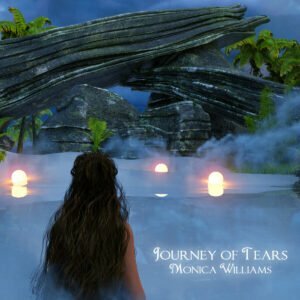 Despite its title, Journey of Tears is only occasionally somber or melancholic. Flutist Monica Williams plays an assortment of her instrument: concert/silver, Native and bamboo. Her liner notes explain each of the 10 tracks' origins/meanings and while some songs do have origins in her life's "valleys" (to use her words), there are also some "peaks." Williams is a consummate instrumentalist and her control over the variety of flutes here is aptly demonstrated. Sherry Finzer, Darin Mahoney, Michael Selig, and Alexa Nodromia make brief but memorable appearances. Yet, Williams is the draw here, whether the tune is sad ("Raining Tears"), energetic ("Conversations Within") or beautifully pensive ("Finding Peace"). 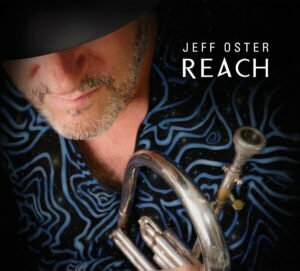 Flugelhorn/trumpet artist Jeff Oster (joined by exceptional guest stars) flexes his musical stylings by painting on a more overtly world beat canvas on Reach, most notably the music cultures of India and Asia. As he has demonstrated on previous albums, such as Next, True, and Released, Oster is the opposite of a one trick pony. Intermeshing the world beat elements with jazz, blues, ambient, and more, Reach once more demonstrates that Oster's musical vision is nearly limitless in its scope. The best example of this is "Le Caveau" which, to me at least, evokes all those great jazz/funk-inflected soundtracks to gritty '70s crime drama films, e.g. Dirty Harry — and the track is a stone blast! 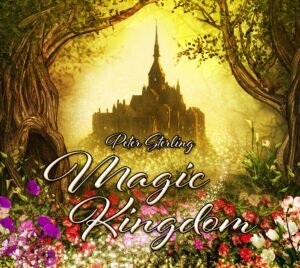 Only an artist with serious musical chops and depth of experience could pull off what Peter Sterling does on Magic Kingdom, i.e. marry the core of New Age harp music with chill-out rhythms in an album that, on its surface, would appear to be anchored in more conventional trappings of the genre. Which is not to say that Magic Kingdom is inaccessible or unapproachable. Just the opposite, in fact. There is a joyfulness and infectious child-like innocence here, wedded to a sophisticated mixture of Sterling's signature harp melodies with infectious beats and rhythms than makes the album almost irresistible unless one is submerged in the most irreversible of dour moods. Dean Evenson (flute and keyboards), one of the founding artists of New Age music, continues to expand his musical horizons and reinvent himself, year after year. 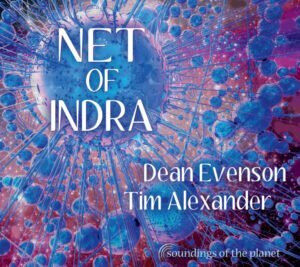 Net of Indra, his collaboration with world-class percussionist Tim Alexander (drums, gongs, singing bowls), navigates a more primal, sensual sonic landscape than his more usual fluid New Age musical excursions. In fact, more than once, I was put in mind of Steve Roach and Robert Rich's collaborative epic, Soma, due to Alexander's primal percussion talents, although Soma relied more on electronics and less on flute for the base melodies. Wife Dudley contributes on handharp and tamboura drone, expertly as always. 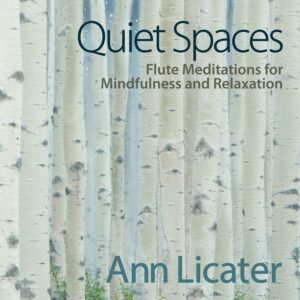 It's not often that an album's title perfectly captures the essence of the music within, but Quiet Spaces from flutist Ann Licater certainly does. With only one guest star (electric bassist Peter Phippen on three songs), this is all about Licater's expertise on (primarily) Native flutes, and she displays a true affinity for the instrument throughout the 15 deeply meditative tracks (the album's subtitle, as listed above, makes it clear what the main focus here is, i.e. a sonic backdrop for meditation, reflection, and finding the inner path). However, due to her use of a variety of flutes with different pitches, Quiet Spaces offers a lot of variety without deviating from the CD's ultimate goal. 2002 (the family Copus: Randy, Pamela and daughter Sarah) are definitely moving their music into a new phase of their career, no doubt due to the emergence of Sarah as a viable force in New Age vocal music (as apparent on her solo debut, Moorland Winds). 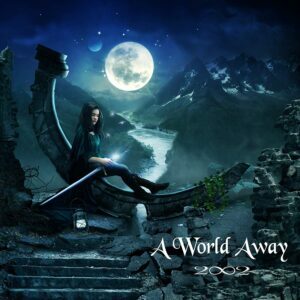 While A World Away retains some of the "duo's" 22-year-long careers’ musical motifs, imbuing this disc with ethereal mystical soundscapes, it's Sarah's budding career as the "next Enya" that anchors this release with soaring New Age pop vocals, giving this latest album a special something that, in this reviewer's opinion, heralds the coming of age of Sarah Copus to new heights, buoyed by the amazing musical talents of her parents. New Age music history is being made here, folks.